Σχεδιασμένο για ταξίδια τόσο επαγγελματικά όσο και διασκέδασης, το Mekong Estate είναι ιδανικά τοποθετημένο στη Ρίβερφροντ, μια από τις διασημότερες περιοχές της πόλης. Το ξενοδοχείο βρίσκεται 1.5 Km από το κέντρο της πόλης και σας προσφέρει εύκολη πρόσβαση σε σημαντικά μέρη της. Με την βολική του τοποθεσία, το ξενοδοχείο προσφέρει εύκολη πρόσβαση στους προορισμούς της πόλης που πρέπει οπωσδήποτε να δείτε. Με τις υψηλού επιπέδου υπηρεσίες και την μεγάλη ποικιλία ανέσεων, το Mekong Estate δεσμεύεται ότι η διαμονή σας θα είναι όσο πιο άνετη γίνεται. Τα δωρεάν WiFi σε όλα τα δωμάτια, ημερήσιος καθαρισμός, υπηρεσία ταξί, γρήγορο check-in/check-out, φύλαξη αποσκευών είναι μόνο λίγες από τις εγκαταστάσεις που κάνουν το Mekong Estate να ξεχωρίζει από τα άλλα ξενοδοχεία στην πόλη. 7 δωμάτια μοιρασμένα σε 2 ορόφους παρέχουν ένα ζεστό και ευχάριστο σπιτικό μακριά από το δικό σας. Σε επιλεγμένα δωμάτια θα βρείτε μοντέρνες ανέσεις όπως επίπεδη τηλεόραση, δωρεάν καφές φίλτρου, δωρεάν τσάι, δωρεάν ποτό καλωσορίσματος, καθρέφτης. Η πλήρης λίστα των ψυχαγωγικών υπηρεσιών είναι διαθέσιμη στο ξενοδοχείο, συμπεριλαμβανομένων των εξωτερική πισίνα, κήπος. Ανακαλύψτε ένα ευχάριστο μείγμα επαγγελματικών υπηρεσιών και μια μεγάλη ποικιλία ιδιαίτερων χαρακτηριστικών στο Mekong Estate. Spacious well designed and local style house with all that one might need. Wonderful views onto the Mekong. It’s 1/2 mile out of town so either a ride or quite long walk to get to the tourist areas. Not much in the way of restaurants nearby. Up a dirt road from the highway. There is a shop nearby. The local neighbors are prone to being a bit noisy at night but shut up around 11. Clean and tidy the gardens are well maintained and the standards of housekeeping fine. Breakfasts are basic. Served on the balcony. There is no restaurant or bar but there is a little kitchen and drinks fridge in your house. Mosquitoes are a problem. The pool is lovely, big enough to have a swim not merely a dip. Wi-fi good.Staff are friendly and helpful. A nice hideaway if you want some privacy and peace. Stayed at Riverside, the view is super! Hotel staff are very nice, services above expectation! I had very relaxing and peaceful stay. This property is a bit further from town but it is easily reachable by taxi. Suitable for travelers who would like to stay away from commotions. Every now and then, one finds a place they look back on. This is one of them. Wanted to be on the Mekong River. Wanted spacious area(Jade Suite). Wanted the balcony for my sunsets with a Lao Beer in hand. Mekong Estates did not disappoint. Adding to the uniqueness was a private cook in breakfast each morning from our private kitchen and having it served on our personal balcony. Wow! Beautiful grounds for morning walks and sunset views. Even when checking out for last 2 nights in Luang Prabang at another facility, they gave us a free ride there and carried our luggage in. Very cordial. Thank you Mekong Estates for a nice positive experience. We have stayed in Mekong Estate 5 nights from 8th to 13th December 2017 and it was unforgettable experience. 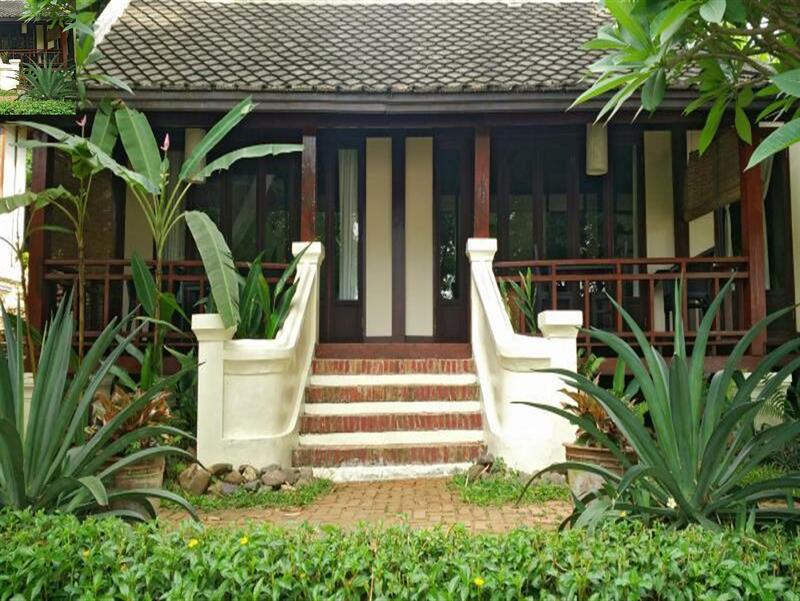 The place is colonial style separate houses and apartments directly on Mekong river side. 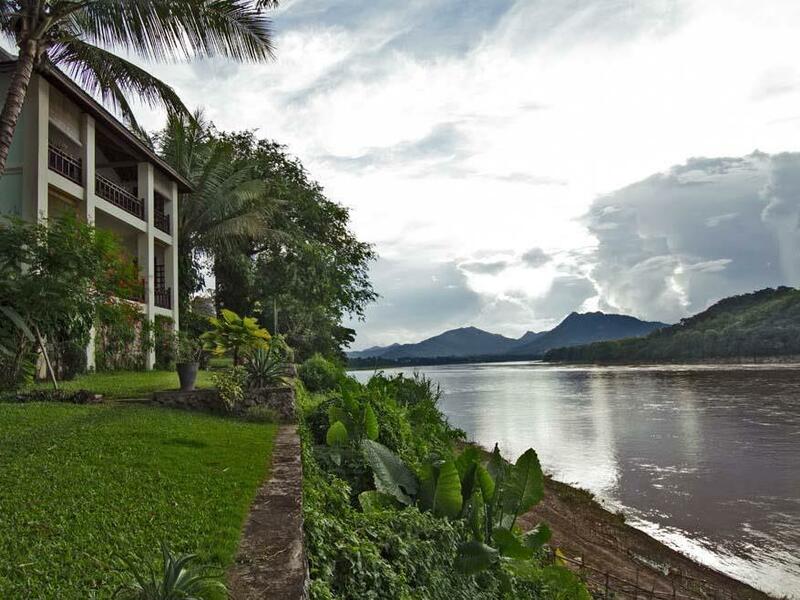 The place respects the Luang-Prabang colonial style and the location with fantastic view on Mekong river creates authentic atmosphere. The breakfast is served “a la carte” at your private terrace, which we enjoy so much. The place is very clean. Considering that there is no reception and common place for breakfast, you have full privacy and relax. The service is more than perfect, thanks to Mr. Toy has offered us the best permanence we could desire. We had free of charge the bottles of water with no limits. Small angle with boiler and Moka coffe, so my Italian husband was just happy to have his Moka coffe in the morning. We have been given also a mobile phone to use for local calls. To move around we have rented a scooter 125ccm and it was great. Mr. Toy also organized for us the trip to Pak Ou Caves by boat that we took just from our place, which was very special and useful. We loved this place, and it will stay in our memories forever. Strongly recommend to fully feel the authentic atmosphere of Luang-Prabang! Thank you Mr. Toy! Stayed at the Bamboo suite, which was huge, clean and comfy. The view was spectacular! Mr Toey was super accommodative and helpful-had great recommendations and tips. Only downside is the distance from town-takes 20-30 mins on foot, 15-20 mins on bicycle and 5-10 mins on tuk tuk. Though it is a short walk from the local phousi market and Ock Pop Tok. Overall, it makes for a wonderfully relaxing getaway. We stayed in Bamboo 3 Villa with our 5 and 8 year old. Great location on the river. Really spacious villa and attentive staff. Easy 5 min trip into town. Very nice property with amazing views. Staff are very nice. Pool is fantastic. A few downsides: with hindsight we wouldn't have stayed out of the main town, although easy to get a tuk tuk it would have been nice to have been able to walk as the town is small and everything walkable. The pool is lovely however it is small and if there are kids playing then it isn't very relaxing or peaceful. You are right on the river which is great, however there are boats moored up right below the rooms and we were woken some mornings with a chainsaw being used, and most days there was music playing all day. For the money this hotel costs you might expect a little more exclusivity. I would recommend this hotel if someone wanted to stay out of town but next time we will stay somewhere else. We were a group of 5, staying in the Maison rouge villa. It was clean and the staff were fantastic! Toei made our stay so pleasant, arranging all our transportation and taking care of all our needs. The location is a little out of the main stretch, easily solved by tuk tuks, villa had wifi and bottled water, lots of space to hang out overlooking the Mekong River. Very clean and well maintained. 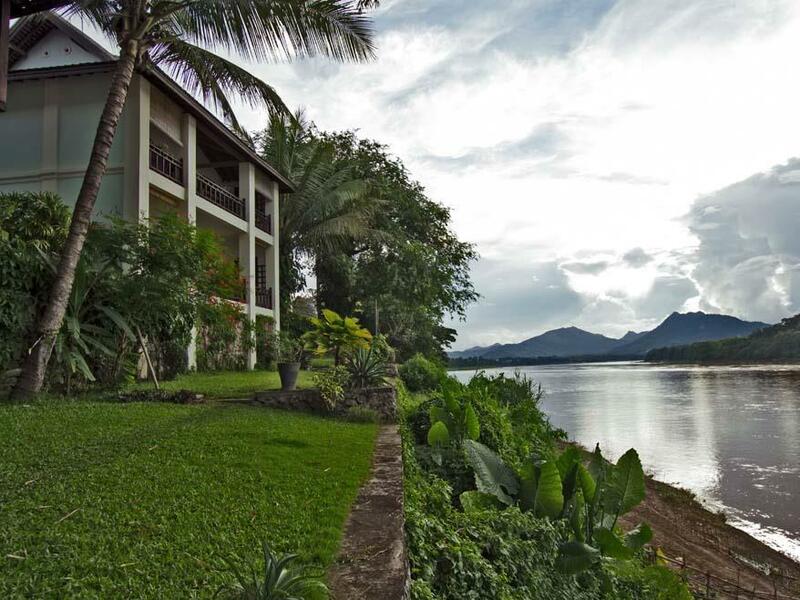 a secluded and tasteful resort in a tranquil and beautiful location. This hotel is amazing. I spent two nights with my wife for our wedding anniversary. Absolutely 100% happy. Incredible location, super nice staff, and very nice, stylish design. Would definitely stay here again. It's a short cycle into town and they lend you bikes for free which is a bonus. Toey is so helpful and friendly with where to go and booking things. 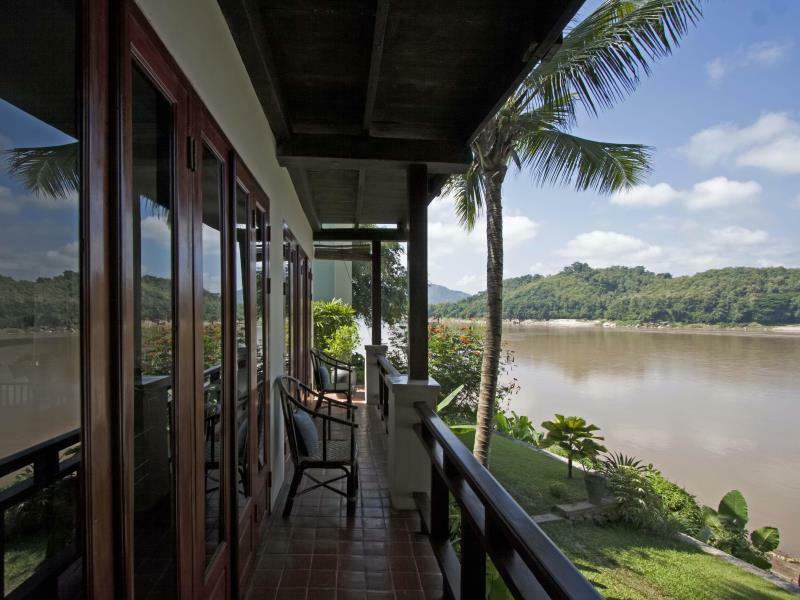 The rooms feel really private and are all Mekong riverside and sunset facing (I think). The pool gets sun all afternoon and also gets a good Mekong sunsets. The only improvement would be the breakfasts. With so much good bread and sausage in Luang Prabang it could be so much more. The omlet and bacon were good though and the orange juice was so fresh!! Coffee nice and they have a stove-top and French press in the room if you want to buy your own in town. We had such a great time there and we would definitely go back!! Dear Richard, Thank you for your wonderful feedback and learn that you enjoyed your stay with us at Mekong Estate. We hope we will have a chance to serve you again in the near future. Best regards, Sone & Mekong Estate Team. 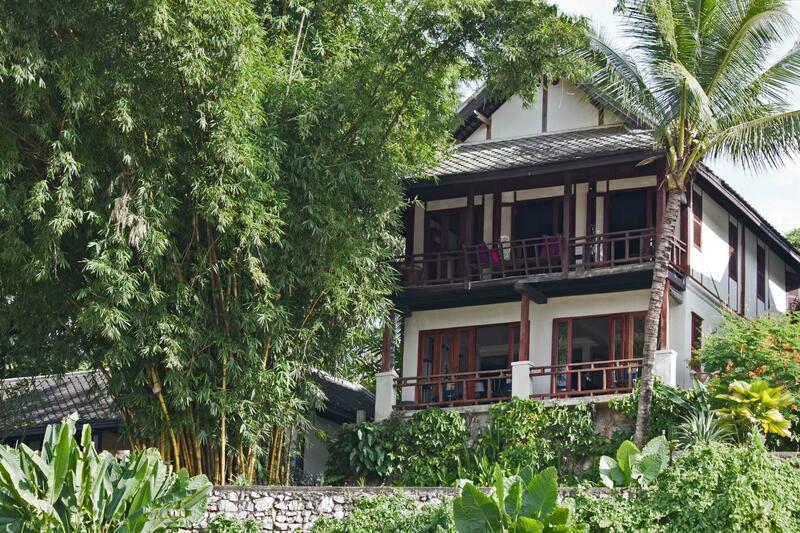 I stayed 2 nights in bamboo villa and i loved it really. The manager was super kind and sweet and the place was just lovely. The location is a bit far from the city center. But if you are planning to rent a vehicle, it doesn't really matter. The view was awesome and room service breakfast was satisfying! Somehow there were some ants.. but not that annoying. Overally, highly recommended!! 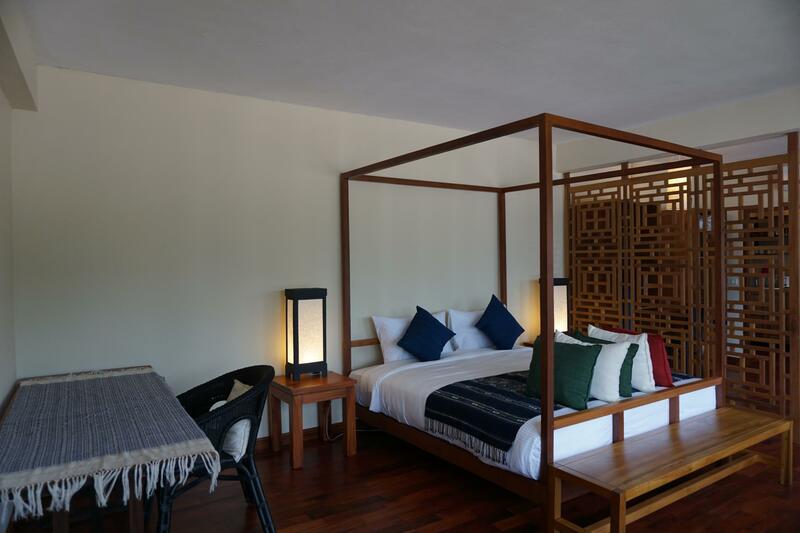 Dear Yunkyung, Thank you for your wonderful feedback and learn that you enjoyed your stay with us at Mekong Estate. We hope we will have a chance to serve you again in the near future. Best regards, Sone & Mekong Estate Team. We stayed here for 5 nights - two families consisting of 4 adults and 6 children. There was plenty of room in the house and the service of the managers and staff was superb. They arranged everything for us from drivers and day trips and when one of our party badly sprained their ankle they met us at the hospital to make sure the process was as easy as possible. 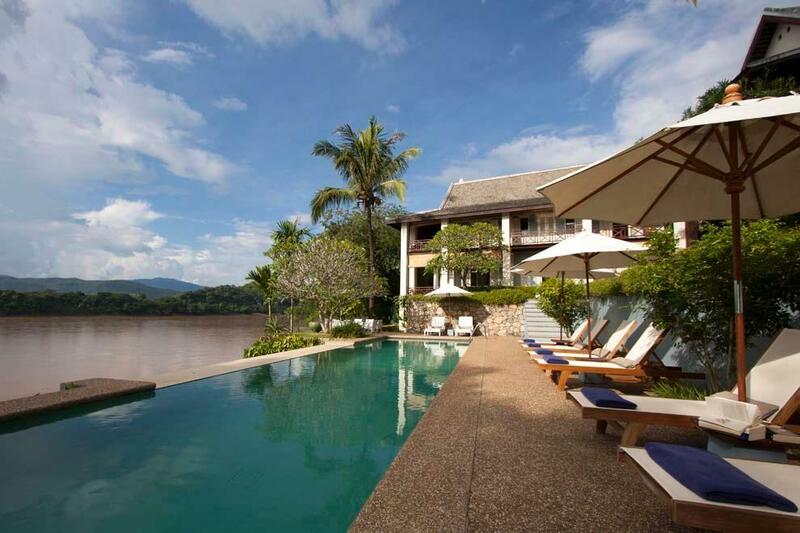 The house itself is beautiful and has exceptional views of the Mekong. Breakfast was served up beautifully every morning and made to order - can not recommend this place enough! The property is beautiful, our villa was amazing, and Tooey was a great help, making recommendations for restaurants and spas in town. The 25m pool was a welcome relief from the heat every day. We slept in peace and quiet, only a 5min tuk tuk from colonial center. Highly recommend! Σταθμός Λεωφορείων Luang Prabang Southern στα 1.69 χλμ.